This Jawa prototype is hand painted. The eyes are located differently. The hands originally had an insert that would not allow the hands to spin freely. 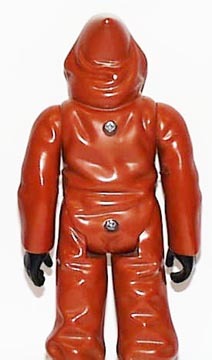 The jawas coat is made out of a different material and color. And of course no trademark info.